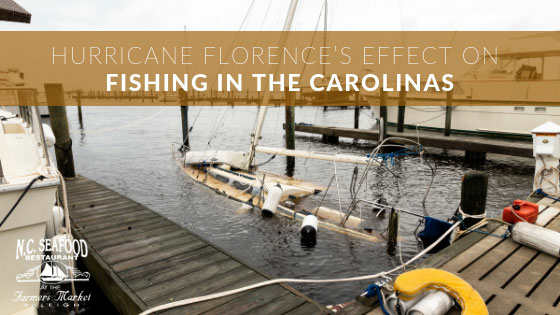 With the record-breaking amounts of water dumped on parts of the Carolinas and the overflowing of several lakes, rivers, and streams, did Hurricane Florence effect the ability to fish? It’s no secret that Hurricane Florence rampaged through the Carolinas, leaving the east coast, especially, with devastating effects. The continuous and heavy rainfall turned parts of Interstate 40 into a river, while completely flooding some homes and businesses. You would think these large amounts of water and overflow of bodies of water would affect the fishing in the Carolinas; So, did it? 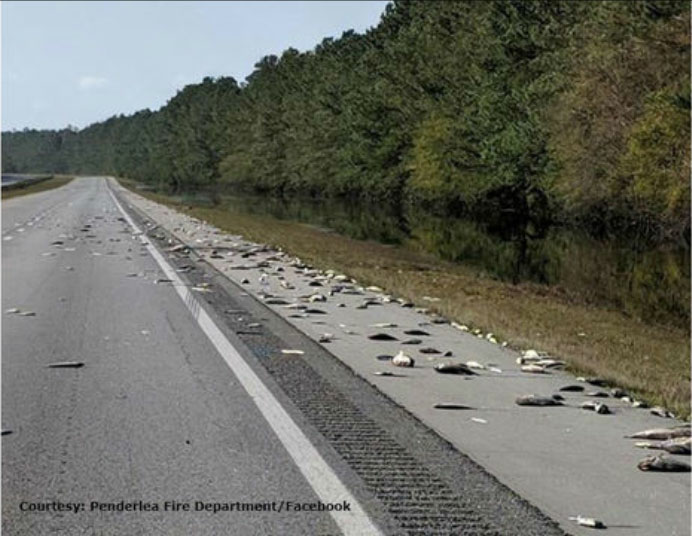 The Penderlea Fire Department reported that Hurricane Florence did result in massive flooding that “allowed the fish to travel far from their natural habitat.” As a result, hundreds of fish carcasses were left washed up on I-40 following the storm, causing the fire department to have to power wash them off the interstate to protect travelers. Although hundreds of fish were unfortunately lost, and not just on I-40, the good news is that that is the only negative impact of the hurricane on fishing! There are several reports that while numerous fish may have definitely been relocated and fish communities altered, the fishing in itself does not appear to have been affected at all. Despite some dirty water conditions, the chances of biting remain about the same as it did before the hurricane come through. For your best chances of fishing post-storm, be sure to scope out those creeks and creek mouths especially! Can Hurricanes Positively Effect Fishing? Surprisingly, in some cases, the answer to this question is yes. Severe flooding can allow fish to access new beneficial habitats that can be used for feeding and reproduction or allow them to move between previously disconnected systems. In the open ocean, researchers found that hurricanes can also increase the prevalence of deep, nutrient-rich ocean waters, which subsequently increases fish’s feeding success. However, on the other hand, hurricanes and the subsequent flooding can have negative consequences, too. Severe flooding can remove fish from their preferred riverine habitats, as well as cause hypoxic conditions, also known as “dead zones” to form. Dead zones occur when a body of water that supports marine life becomes polluted with an excess of natural sources, such as plant material and other organic matter. This depletes the oxygen levels required to support marine life, meaning that area of water can no longer be inhabitable by fish and fish kills begin occurring. Hurricanes can also alter the salinity of a body of water, which can substantially alter fish communities. For example, Louisiana’s Breton Sound estuary reported that after Hurricane Katrina in 2005, the salinity levels of their freshwater habitats drastically increased and did not return to normal until 6 months after the storm. As a result, the fish communities that were previously dominated by freshwater species now contained mostly marine species. 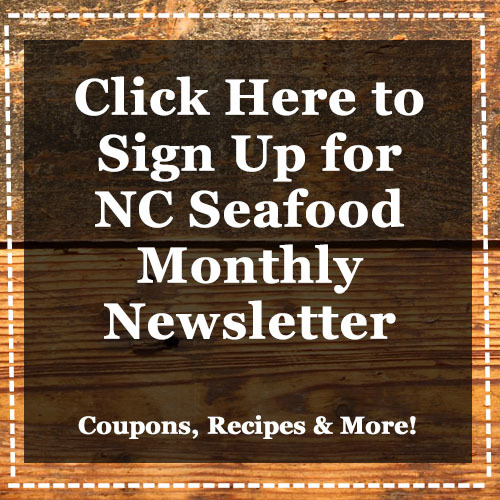 While some of these negative effects may have occurred after Hurricane Florence, it, fortunately, does not seem to have significantly affected the fishing in the Carolinas. Since Hurricane Florence did not have as bad of an impact on fishing in the Carolinas as it could have, it’s still the prime time to get on out there and go fishing! However, since flooding did just occur, if you are fishing in a boat, be sure to adhere to these following safety tips. After a good day of fishing, be sure to fill your stomach with our delicious seafood freshly made from our kitchen to your table.